The British Virgin Islands are exactly what I expected them to be – white sand beaches, excellent diving and snorkeling, turquoise crystal clear water, scenic hiking, lots of boating opportunities, and heavily poured rum drinks. I spent a month traveling around the islands by boat. 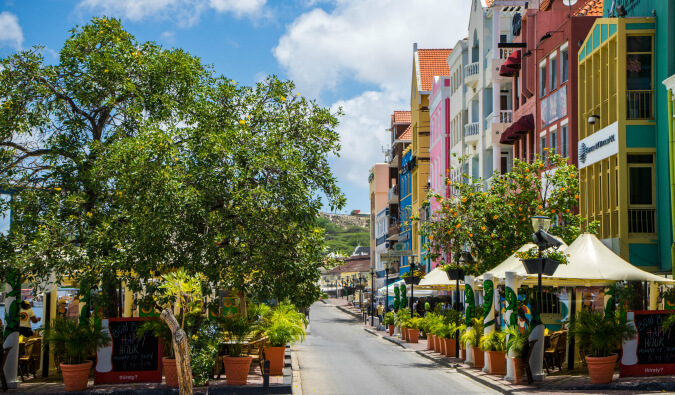 There are a fascinating number of things to do on the islands – life here is not all hammocks and piña coladas. From festivals to diving, from strenuous hiking trails to hidden tide pools, each of the islands in the area has plenty to offer to keep you busy if a full day at the beach isn’t your thing. Whether for one or multiple days, sailing the only way to see more remote islands that ferries don’t visit, get away from the crowds, and discover your own hidden snorkeling spots. If you’re a large group, rent a private boat. However, if you’re traveling solo, here’s how you can sail on the cheap. 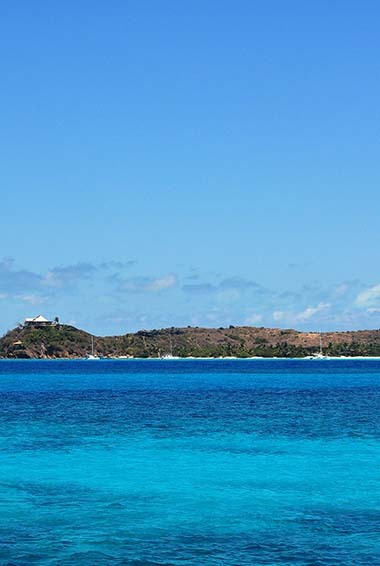 Famously home to Sir Richard Branson, you can stay on this island for a cool $50,000 USD a night. Don’t have that much money? No problem. You can take a day trip with Gumption on the Sea It Clear Glass Bottom Boat Tour. Tours leave from the Bitter End resort on Virgin Gorda. Branson has been known to say “hello”. 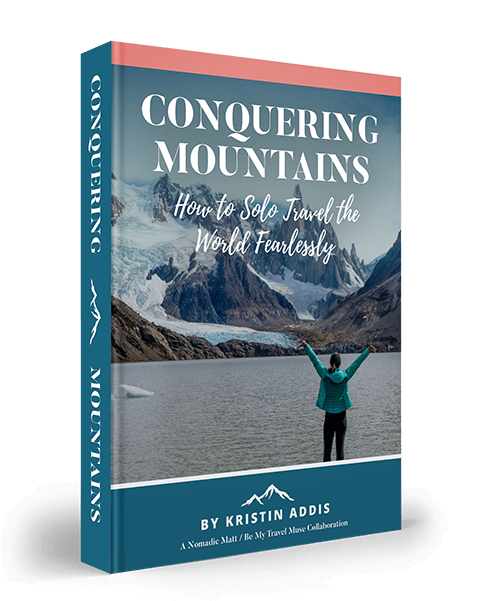 After crawling through a tiny opening, you are surrounded by gigantic granite boulders nestled on each other with streams of water flowing all around them. There are nooks and crannies to explore everywhere. 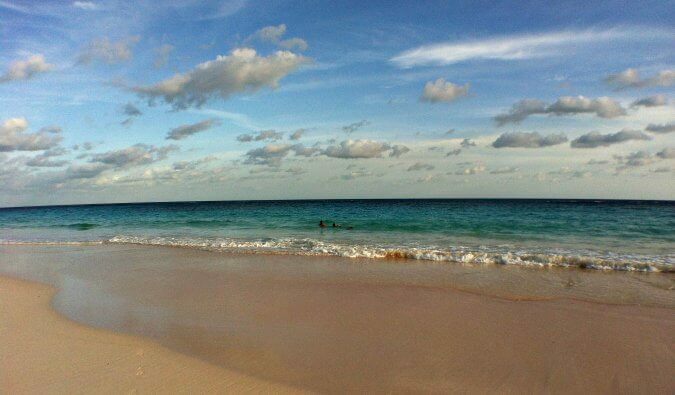 After wading through, enjoy the calm and beauty of Dead Man’s Beach. Simply, the Baths are beautiful. 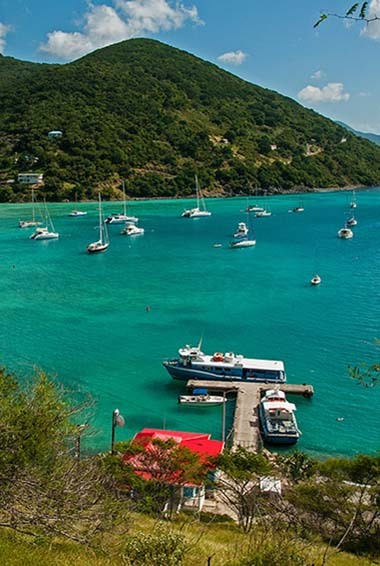 The party island of the BVI, Jost sees a lot of day-trippers from St. Johns, along with yachties coming into the harbor making a beeline for the famous Soggy Dollar Bar and its signature drink the Painkiller. (Sidenote: the best painkiller I had was at Rudy’s.) Be sure to visit the bubbly pools on the other side of the island where the incoming water creates a whirlpool effect. 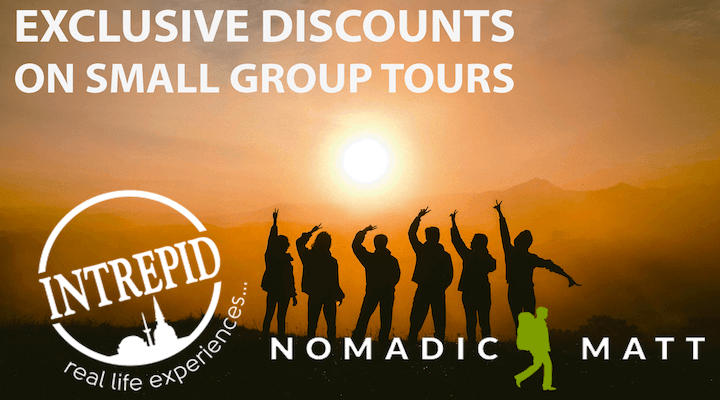 Looking to get away from the crowds? Come here. 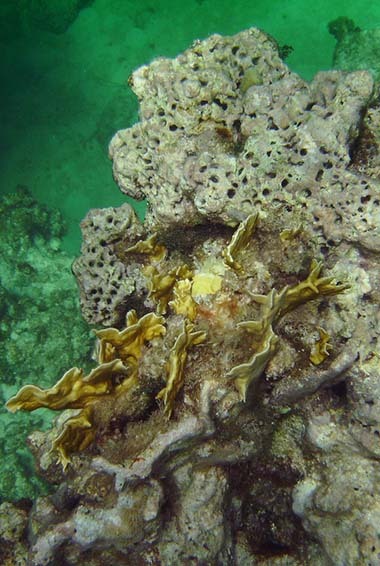 The island is ringed by a reef making it perfect for snorkeling right from the shore. The island is famous for its lobster, and each restaurant has its own signature dish (Neptune’s Treasure and Potters by the Sea were my favorite). If you come in November, stay for the Lobster Festival. This tiny, deserted, out-of-the-way island is filled with once-important salt ponds. The island was owned by a family that paid an annual rent to the Queen of England of a single one-pound bag of salt. Now, it’s deserted as the last of the family members died years ago and the island is in legal limbo. There’s snorkeling on the outer reef and you can take a dinghy to visit the deserted town near the salt pools. It’s like something out of a creepy horror movie. Considered one of the most impressive dive and snorkel sites in the world, the RMS Rhone was a mail ship that crashed in the nearby reef and is now its own artificial reef, home to thousands of different fish and coral. It’s a must for every diver. Most dive trips leave from Tortola. Located at Norman Island, this old boat turned floating bar is where everyone goes wild in the British Virgin Islands. I’ve seen old ladies doing body shots here while young guys chug beer and jump off the boat naked. It’s always a wild day on Willy T’s. But if the water is calm on weekends, the place gets very busy as locals take boats over for a Sunday Funday. 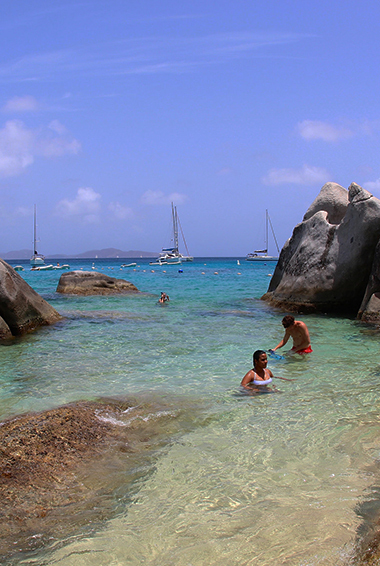 Smuggler’s Cove is in the West End, Tortola beach. Here people pick up supplies for the boats, and there is one beach bar/snack stand that also doubles as a watersports rental kiosk. 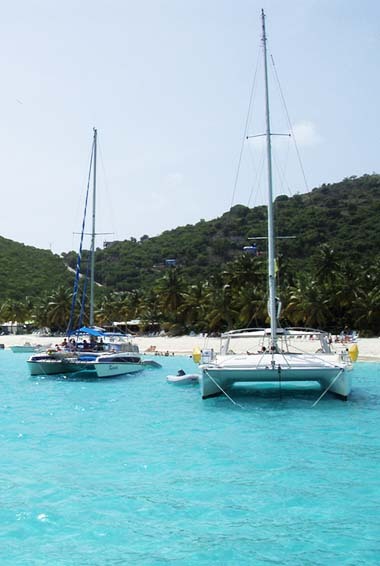 The center of activity on Tortola is Cane Garden Bay. Spend the day at this northwestern beach enjoying the great food (be sure to order an actual “Cheeseburger in Paradise” from Stanley), rent a boat, go or snorkel around the beach’s western edge, or enjoy an evening drink listening to one of many live bands. Sage Mountain stands at 1,716 feet overlooking Tortola. It’s one the best hiking opportunities in the country. You get phenomenal views of the island chain. If you’re looking to do some hiking on the island, this is the area to do it in. The entrance fee is $3 USD. While this is not necessarily a budget-friendly option, the Bitter End Yacht Club is the Caribbean’s premier water sports resort. The Bitter End is uniquely situated along a mile of shorefront where you can hike trails, yoga classes, learn water sports, eat and drink well. This is one of the nicer spots along the sailing route through the islands. Accommodation – Accommodations are going to be your biggest expense while traveling here. You can expect to pay around $150 USD per night for a cheap hotel room. Use Booking.com as they consistently return the cheapest rates. If you are planning on camping, minimal sites cost about $22 USD per night, while equipped campsites generally start around $45 USD per night (including electricity, water, etc). There’s not many on in the island chain, though. Food – You should budget about $8-12 USD for pizza or sandwiches, and other grab and go meals. Transportation – Taxi prices, regulated by the government, are exorbitant ($10-30 USD per ride). If you aren’t careful, you can easily spend over $30 USD a day getting around the islands. Shared taxis can cost about $1-2 USD per person. If you want to keep your transportation costs at a minimum you can hitchhike while on the islands (even on boats)! If you are visiting with friends, renting a car is more economical and costs about $60-80 USD a day. Activities – Snorkeling off the beaches is free but bring your own gear to the islands as equipment is expensive if bought locally. If you are in the mood for boating excursions and guided tours, you should budget around $20-$40 USD per day on getting to and from locations, and entry fees for some of the parks. Most full day sailing trips cost about $150 dollars per boat. 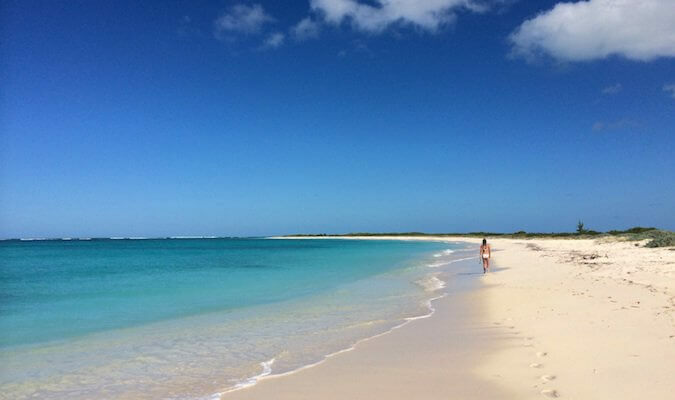 Camp – There are a few campgrounds on the islands that can lower costs: Ivan’s (Joost Van Dyke); Reggae Camping (Virgin Gorda); and Anegada Beach Club (a hotel that lets you pitch a tent). It’s about $20 per night if you pitch your own tent and $40-60 if you rent a cabin. Couchsurf – While you can find plenty of hosts in the USVIs, there are few in the BVIs. Given that most hosts tend to work on boats, their schedules are erratic and you’re going to have a low response rate. Make sure to inquire well in advance. The flip side of that is that when they do respond, they almost always say yes. Hitchhike – Hitchhiking is the preferred mode of transportation for locals and tourists alike. Since taxis and cars are expensive, many locals just share cars or hitchhike. Do the same. It’s safe and drivers will take groups. Rent a car – If you’re going to be hitting a lot of spots on the bigger islands like Tortola or St. Thomas, you’re going to find it hard to get taxis in some of the more secluded places (they tend to stick around more crowded locations). It’s better to rent a car on these islands, even at $60-80 USD a day. 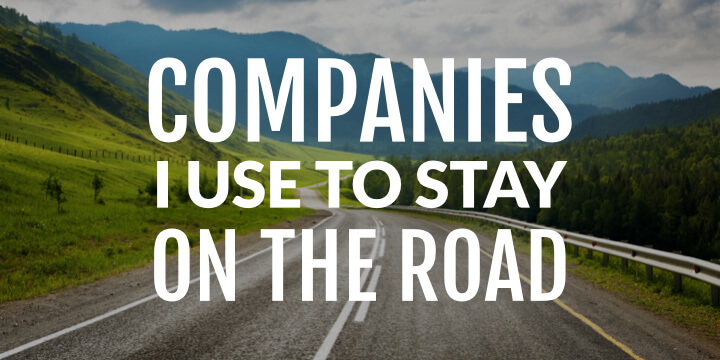 It will give you more flexibility and, if you’re splitting costs with friends, will be cheaper than taxis. My friend and I figured out the math towards the end of our trip and kicked ourselves for not thinking about it sooner. Get dropped off – Taking a day sail but plan on heading to the next island after? Most tour companies will drop you off at no extra charge if the island is nearby. 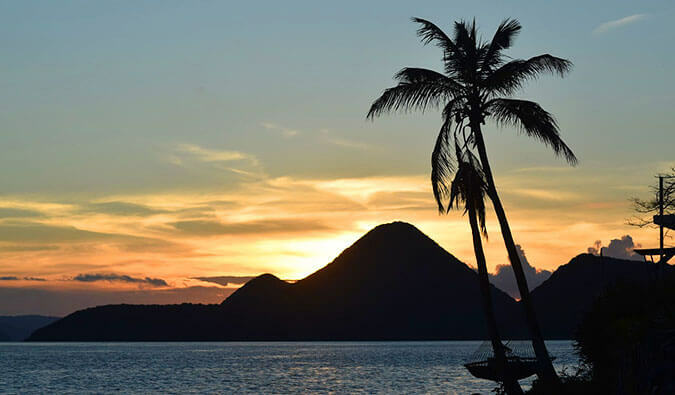 Hitchhike on boats – Want to go from island to island? Hitchhike on the boats and save thousands of dollars. It’s actually easy to do. Here is how to do it. Cook your meals – The cheapest meal I saw around the islands was a small sandwich that cost $8 USD. In general, $12 USD will get you a fish/chicken plate or a burger. For main courses, steak, fish, or seafood, you’re looking at $20 USD or more. While groceries tend to be fairly expensive because they have to be imported, there are some cheap options. Five days’ worth of food cost me $56 USD and included pasta, chicken, some fruits and veggies, eggs, and bread. Enjoy happy hour – $8 USD drinks add up, even if the pours are super heavy (tax-free rum!). Happy hour specials cost half that, with many places offering dollar drinks. If you want to get sauced, do it early. Since rum isn’t taxed in the BVI, it can sometimes be cheaper than milk! Don’t forget to ask for an extra heavy pour! Buy your own snorkel gear – Snorkel rentals cost around $10 USD per day. Bring your own equipment to save money (buying gear on the islands will set you back $50 USD!) while you’re taking advantage of the offshore snorkeling opportunities. 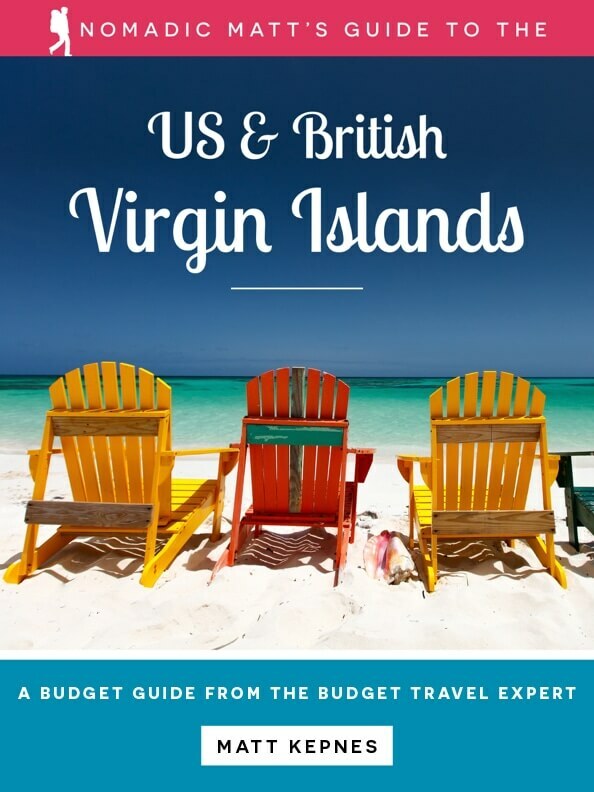 GO DEEPER: Nomadic Matt’s In-Depth Budget Guide to the British Virgin Islands! 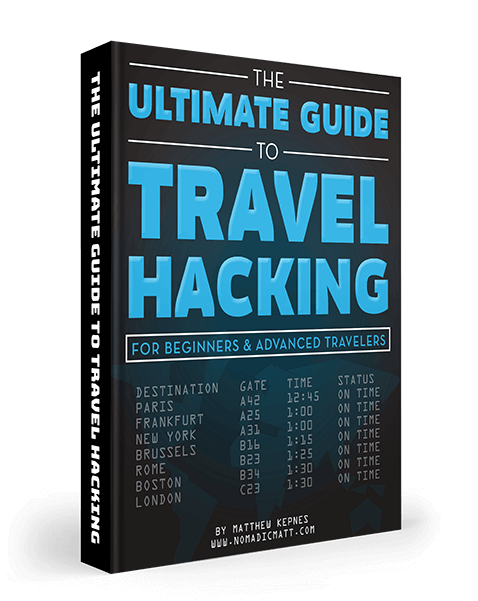 My detailed, 60+ page guidebook is made for budget travelers like you! 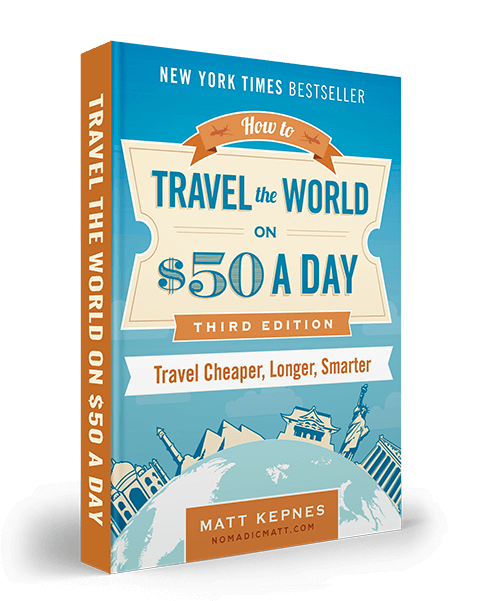 It cuts out the fluff found in other guidebooks and gets straight to the practical information you need to travel and save money while in the Virgin Islands, a country I enjoyed traveling through so much. 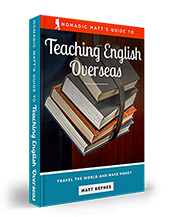 You’ll find suggested itineraries, budgets, ways to save money, on and off the beaten path things to see and do, non-touristy restaurants, markets, and bars, and much more!! Click here to learn more and get started.